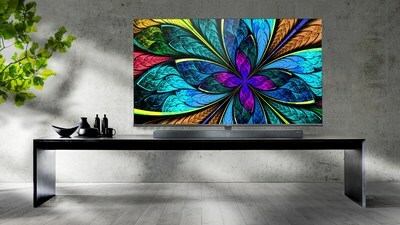 LAS VEGAS, Jan. 7, 2019 /PRNewswire/ -- TCL, top three global television brand and leading consumer electronics company, today debuted its latest artificial intelligence (AI)-powered 8K TVs, including the flagship TCL X10 QLED 8K TV and an 8-Series flagship TV, its first QLED 8K TV for the US market, at the International Consumer Electronics Show 2019. The company also officially announced it has joined the 8K Association as a founding member and launched its new branded platform for AI solutions, TCL AI-IN. TCL AI-IN is TCL's new branded AI platform, under which all of its AI-powered products will be grouped, and successfully integrate its smart technology partners such as Android TV™, Roku (North America only) and Amazon Alexa. With this platform, TCL is building an intelligent ecosystem that provides consumers with a simple, personalized life experience.